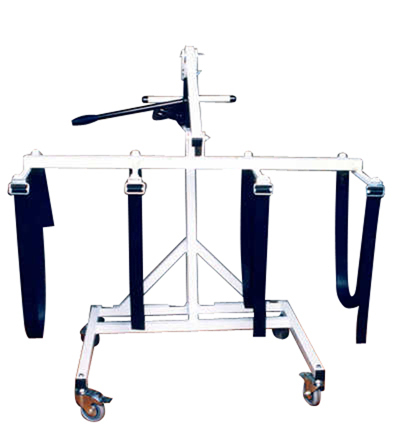 Strong and sturdy body hoist manufactured in 12 guage 1.5" square steel tubing. 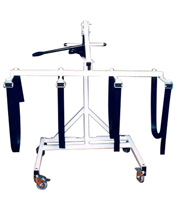 Also includes 4 inch braked castors, a robust hydraulic bottle jack and fully adjustable nylon straps with locking buckles. Dimensions: 1232mm W x 1321mm (min) H (1765mm max) x 812mm D.
The unit weighs 32kg is capable of lifting up to 160kg (25 stone). 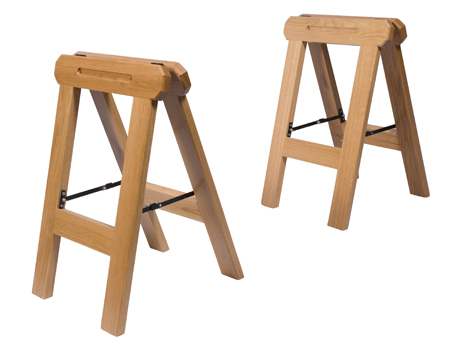 Pair of high quality, strong wooden trestles used to display the coffin for viewing purposes.